Baader now makes the perfect complement to your Celestron NexStar4, Meade ETX , or C90* telescope. The Baader NX4-ETX Universal Adapter allows you to adapt various photo-visual accessories that use either T-thread or standard 2" SCT thread to these telescopes. This adapter actually consists of two different parts that can be used individually or together (see photo 2). The first adapter (A) has a female 1.375"x24TPI (almost 35mm) thread on one side to attach to your telescope. The other side has a standard male SCT thread (2"x24TPI). 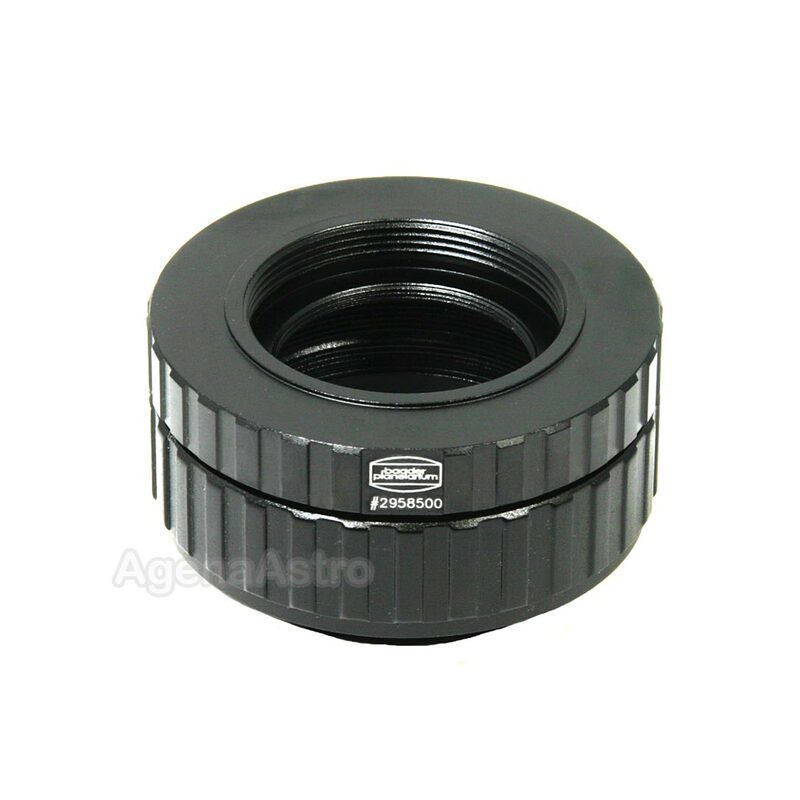 If you use only this adapter, you can attach standard SCT threaded accessories meant for larger SCT scopes to your telescope. The second adapter (B) has a female SCT thread on one side and a standard male T / T2 thread on the other side. Obviously, this adapter cannot be used by itself on NX4/ETX/C90 scopes, but when coupled with Adapter A (see photo 1), it converts the NX4/ETX male thread on your scope to a T thread for attachment of various T threaded accessories and camera/imaging equipment. The T thread ring is fully rotatable, allowing you to orient/rotate any accessories attached to it. Adapter A also incorporates an internal 1.25" female filter thread which allows you to install any 1.25" filter inside the adapter. This allows you to direct couple any accessory and still be able to incorporate photo or visual filters in the optical path. Or install a clear UV/IR cut filter to completely seal your telescope from dust and the elements. 1.25" filters can be attached in this manner whether you use Adapter A by itself or in combination with Adapter B. 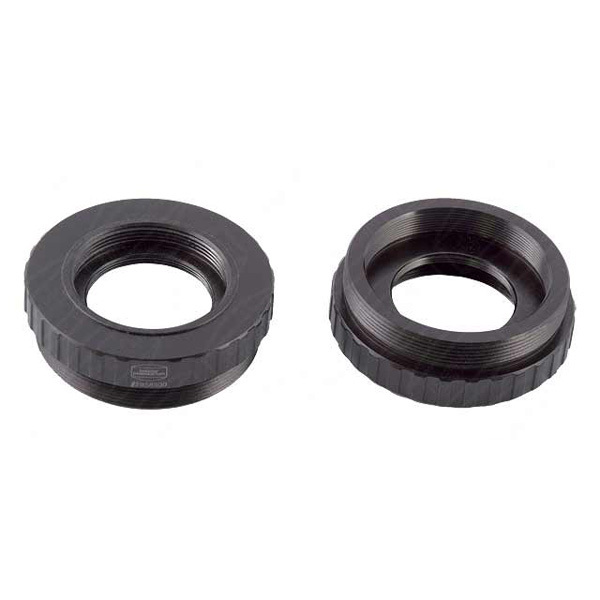 Both adapter rings (A and B) feature wide fluted surfaces to enable a better grip for secure locking. Adapter A has a total length of 17.5mm and weighs 1.8oz. Adapter B has a total length of 20mm and weighs 0.9oz. The combination (A+B) has a total length of 30.5mm and weighs 2.7oz. *Important Note: The Meade ETX and Celestron Nexstar telescopes feature a 1.375"x24TPI male thread on the rear of the scope. Many - BUT NOT ALL - older Celestron C90 spotting scopes also feature this thread. It is your responsibility to check the thread on your scope to make sure that this item will work with it. 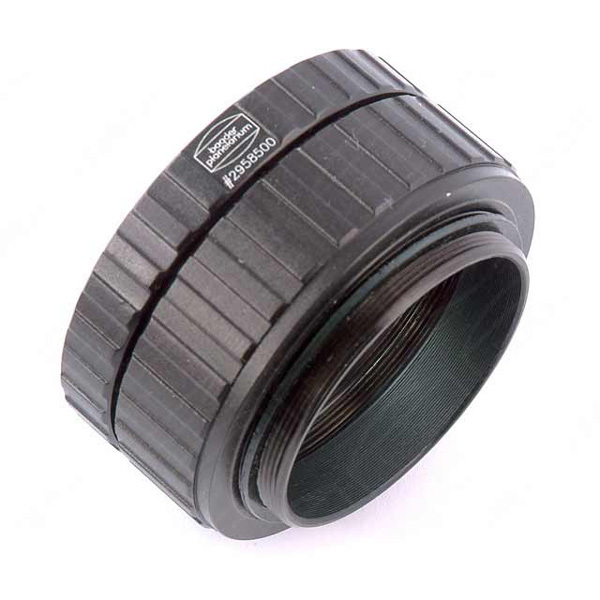 We cannot be responsible for any fit issues if your scope does not have the NX4/ETX thread specified on this adapter. Copyright Notice: This description was developed by Agena AstroProducts. It was NOT provided by the supplier/manufacturer of this product. Please do not copy for personal or commercial use.